The finest option for a round of golf in the heart of the South Okanagan Valley, we invite you to experience Canada's only desert-style golf course, the Osoyoos Golf Club complete with plush conditioning, warm hospitality and two 18 hole championship courses. The Desert Gold and the Park Meadows golf courses. In the Heart of Canada's Wine Country the Osoyoos Golf Club brings together ideal desert climate and picturesque golf with two full-length courses boasting the longest season in the Okanagan. The Park Meadows course is a pleasurable “resort” course that is walker friendly amidst a park-like setting, while the Desert Gold course brings a new and unique links-style golf experience. Perched high above the Town of Osoyoos and sculpted in the environs of a desert mountainside, golfers will be rewarded by precision shot making and captivated by views from the Osoyoos Club Club and its surrounding orchards, vineyards, and Lake Osoyoos below. A lot of golf courses claim to offer something for “novice and low-handicap players alike”…that’s like a good/bad golf course or a hot/cold day…makes no sense! At the Osoyoos Golf Club we truly do have something for all skill levels because we offer not one but two full size, 18-hole courses each with its own distinctly different experience. 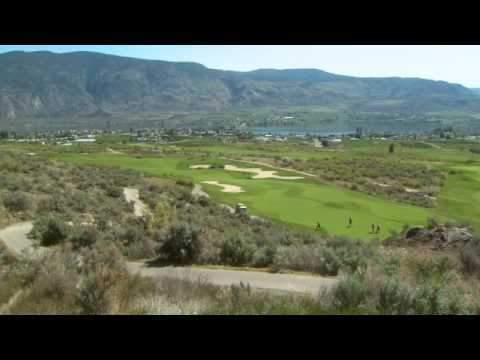 The Osoyoos Golf Club was designed by individuals who believed it was possible to build a unique and interesting golf course that incorporated the natural beauty and defining features of the slopes of the desert mountainside. The Park Meadows course is a pleasurable “resort” course that is walker friendly amidst a park-like setting, combining the simple enjoyment of a memorable golf experience with visually appealing asthetics that takes in the surrounding mountains, the lush environment and the spectacular view of the valley below. Spend a day on the Park Meadows and you will truly enjoy a day spent in the lap of nature.